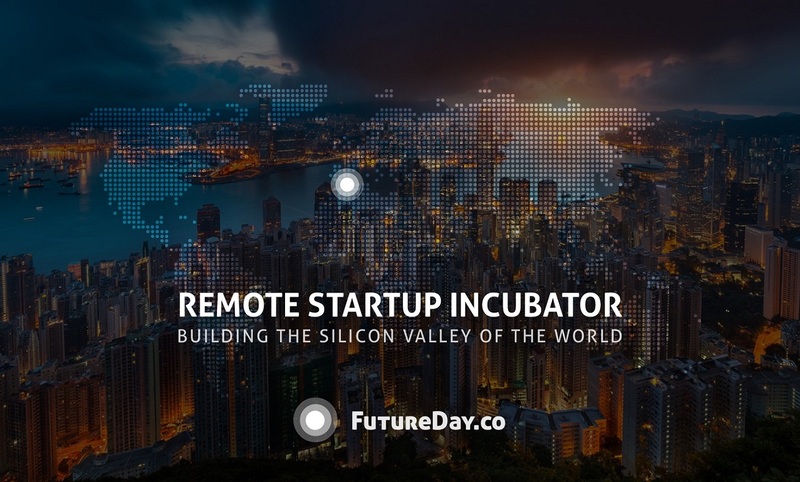 FutureDay.co is a young and growing startup company which incubates and accelerates startup businesses based anywhere in the world, remotely from Gibraltar. A thriving startup scene generally exists in and around hubs like San Francisco, London or Berlin – as they have access to talent, capital and resources, which in many areas are simply unavailable. The company aims to solve this problem by offering startups a remote incubation opportunity, effectively becoming the Silicon Valley of the world. The group feels Gibraltar’s pro business environment, low tax, experienced service sector and familiar legal system would allow startups to flourish. For the small but popular and fast growing local economy this could offer a unique opportunity to de-risk Gibraltar from any potential Brexit crisis. Future Day could potentially create or preserve thousands of local jobs by scaling the company to provide resources to startup businesses from around the world. Future Day will offer an experience similar to KickStarter which would allow startups to post their business plan and receive feedback from a community of mentors, investors and other entrepreneurs. The startup would then receive a ranking which indicates the community confidence in the startup. Successful candidates would be invited to join the incubation and funding program. All startups whether they are a local restaurant or internet based business can join. To learn more or to register your startup, visit FutureDay.co. The remote startup incubator was founded by Alex Biet and a group of professionals based in Gibraltar. The group has 9 founding members, who are working to build the online startup platform. The group has received huge local support from Gibraltar and has already registered significant interest from over 10 countries, including Seattle, USA. Future Day is happy to announce they’ve launched their first revenue generating business which is currently turning over £10,000 in monthly revenue, creating interactive online ads for online gaming companies. Other startups in the current programme include a mobile virtual assistant based on artificial intelligence technology, a social network for productivity, an e-commerce platform to help buyers make informed purchase decisions and a platform for bringing vinyl records to the collector’s doorstep. Future Day expects the above businesses to be revenue generating within 6 months. Future Day provides a unique solution as it incorporates a social aspect which helps startup businesses get feedback and validation before they launch. The group implements rigorous financial controls, which protects investors and prevents mismanagement of funds by having a deployment of capital in a very controlled manner. Future Day is currently in talks with a wide range of investors. The group plans to raise £100 million in capital over the next year. Future Day is organising a private Demo Day event and Launch Party on December 1st, at the Sunborn Super Yacht Hotel in Gibraltar. The event will be opened by Gibraltar’s Former Chief Minister and presently Minister of Economic Development and Inward Investment, The Hon. Joe Bossano. For more information & developments visit FutureDay.co.